We’re being guided up the marble staircase of the Palais Liechtenstein, to a gold encrusted room with baroque stucco ceiling, sumptuous curtains and glittering chandeliers, entering a world of Imperial splendour. Inside, our private concert awaits. 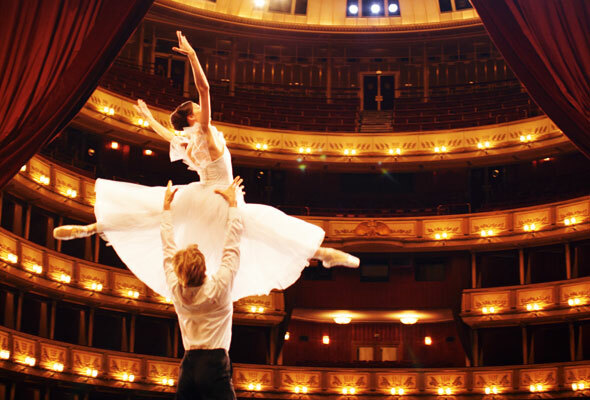 The Wiener Imperial Orchestra’s repertoire includes all of the big names: Strauss, Beethoven and Mozart, featuring captivating operettas and a finale from the Vienna Ballet Company. This is our dazzling welcome to the City of Music. 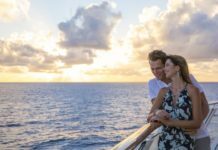 Scenic Tours’ all-inclusive river cruises immerse you in the historical and cultural context of the destinations you visit, taking you from one memorable place to the next on its luxurious fleet of Space-Ships. Staterooms on board Scenic Ruby have 32-inch Samsung HD TVs linked to Mac mini computers with free internet access, a complimentary mini-bar restocked daily and a large private balcony that turns into a sun room at the touch of a button. You’re welcomed with a hot towel and a cocktail on arrival before your personal butler greets you; and throughout the cruise, from breakfast in bed to clothes pressing, shoe shining and drinks to enjoy on your balcony, there are endless opportunities to be spoiled. In the Crystal Dining Room there are extravagant buffet lunches – head to the River Café for lighter fare – and table service most evenings with a new menu each day. On other evenings, dinner reflects the destinations visited – an array of Austrian dishes followed our trip to Vienna, while a warming Hungarian goulash was dished up as a late-night snack after our evening concert. 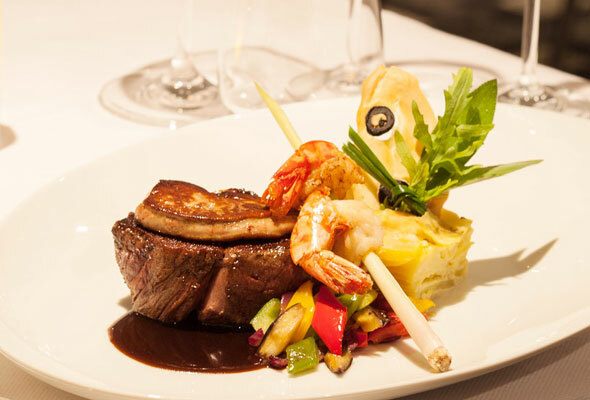 Specialty dining is included in the price of your cruise. 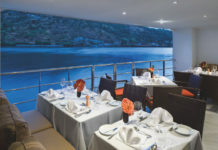 Everyone gets to enjoy a five-course Italian themed meal in the fabulous Portobello restaurant, set for just 30 guests per night, while passengers on the Danube deck, and in Junior and Royal Suites, are invited in small groups of 10 to Table La Rive – a six-course wine pairing experience. We embarked on our seven-night Danube Discovery cruise to Nuremberg in Budapest, under the watchful eye of the majestic Hungarian Parliament Building. This is where we first fell under the spell of the River Danube. 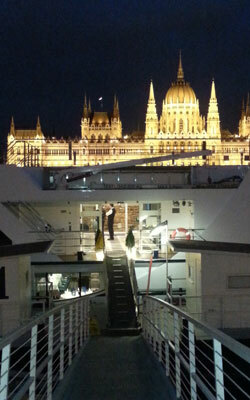 We took a short nighttime cruise viewed from the sun deck, passing by the former Royal Palace, the Liberty Monument and the sparkling Chain Bridge, accompanied by the sound of Strauss’s famous waltz, The Blue Danube. Two days later in Vienna, this mesmerising experience is echoed in a city renowned for its musical history. Not only did the Scenic Enrich concert envelop us in the scores and operettas for which the city is so famous, but the tour of Vienna revealed how music is intrinsic to life in the city, past and present. It’s where the poet Goethe arranged concerts for Beethoven and you’ll find a golden statue of Strauss in the City Park. In your free time you can explore Mozart’s house, a self-tour guiding you through his rise to fame and reigniting the shadows of the past in the rooms where he once lived and composed his music. Wandering the streets you’ll come across a number of opera houses and classical concerts are held at venues like the Musikverein, home to the Wiener Philharmoniker. 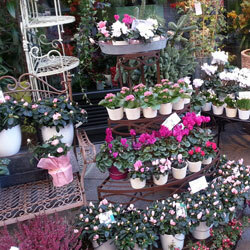 For those looking for a more contemporary elegance there’s an array of designer shops to explore. 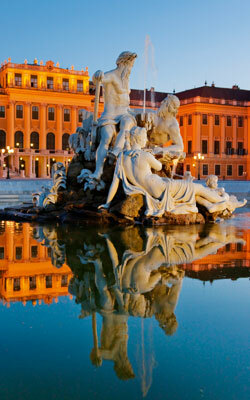 Our Scenic FreeChoice tour in Vienna took us to the Schönbrunn Palace, the epitome of the city’s opulence. Once a hunting venue, it was originally built on the outskirts of Vienna and has now been absorbed by the city. 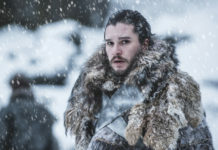 There are over 1,400 rooms dripping in gold and a symmetrical baroque-style formal garden to the rear – creating the appearance of Imperial power. During our cruise, three or four included tours are offered each day, so there’s something for everyone. If you’ve already visited Salzburg, you can take a trip to the Salt Mines; if you’re feeling energetic, on the fifth day there are two ports of call so you can cycle on the complimentary electric bikes from the first stop, Dürnstein, and meet the ship at the next port of Melk. An added advantage is the free GPS tracking device and headset that becomes your new best friend, tuning in to the local guides on tours (great for those who like to stroll a little further behind), or if you fancy a self-guided tour the device will come alive with a commentary every time you pass a point of interest. As the ship sailed to Melk through the golden vine-clad hillsides of the Wachau Valley, and we sipped the regional Grüner Veltliner wine brought to the sun deck, the audio tours provided facts and stories about the castles and little towns found along the way. In Salzburg, on day six we were treated to lunch in the oldest restaurant in central Europe St Peter Stiftskeller, dating back to 803 AD. 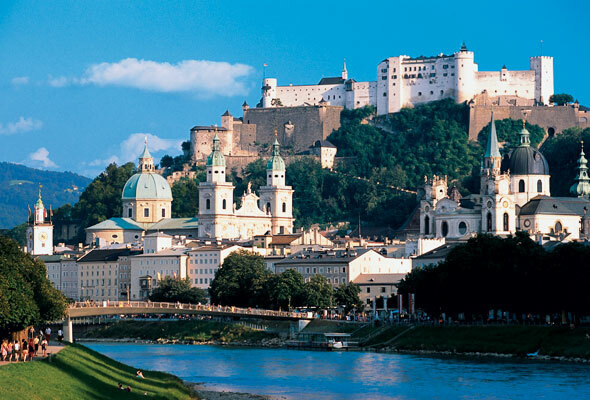 As well as having one of the best preserved “Old Towns” north of the Alps, with baroque architecture and quaint narrow streets, the city is famed for both the setting of The Sound of Music (and home of the real Von Trapps) and for being Mozart’s birthplace. The tour tastefully combined the two claims to fame, taking us to Mozart’s childhood residence and en route passing the fountain around which the The Sound of Music children danced, the archway through which they cycled and of course the gazebo, a little way out at Castle Hellbrunn. A Scenic Tours river cruise along the River Danube cloaks you in an Imperial grandeur of times gone by, mirrored by a ship of pure luxury – it’s an experience that will stay forever in your mind. 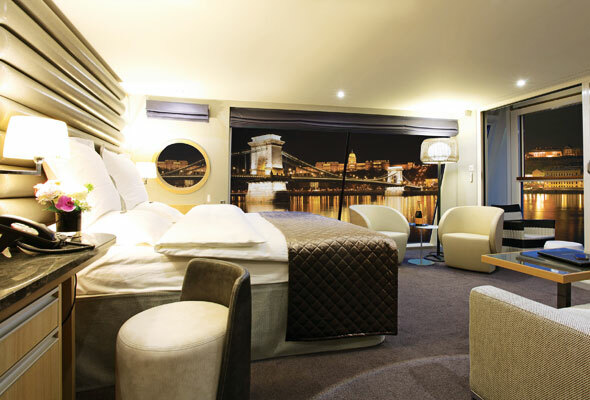 The Danube Discovery eight-day river cruise from Budapest to Nuremberg on a Scenic Space-Ship starts from £2,340pp all-inclusive including flights, butler service, all meals, drinks, wifi, port charges, airport taxes gratuities and shore tours, based on the 2 March 2014 departure. For more information visit scenictours.co.uk or call 01612 362444.